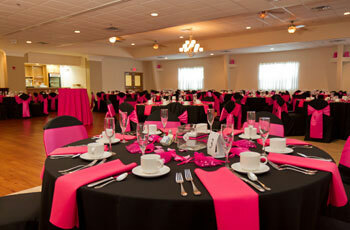 Banquet Hall, War Room, and Outdoor Pavilion are all available for rent. 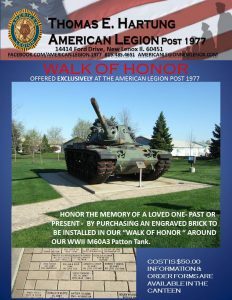 The New Lenox American Legion is a service organization for veterans and committed to mentoring youth and sponsorship programs in New Lenox and surrounding communities. 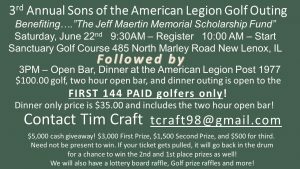 The Legion is located at 14414 W. Ford Drive in New Lenox, Illinois. The American Legion’s success depends entirely on active membership, participation and volunteerism. Our New Lenox organization belongs to the people it serves and the communities in which it thrives. This past Saturday the Post welcomed home one of it’s own. 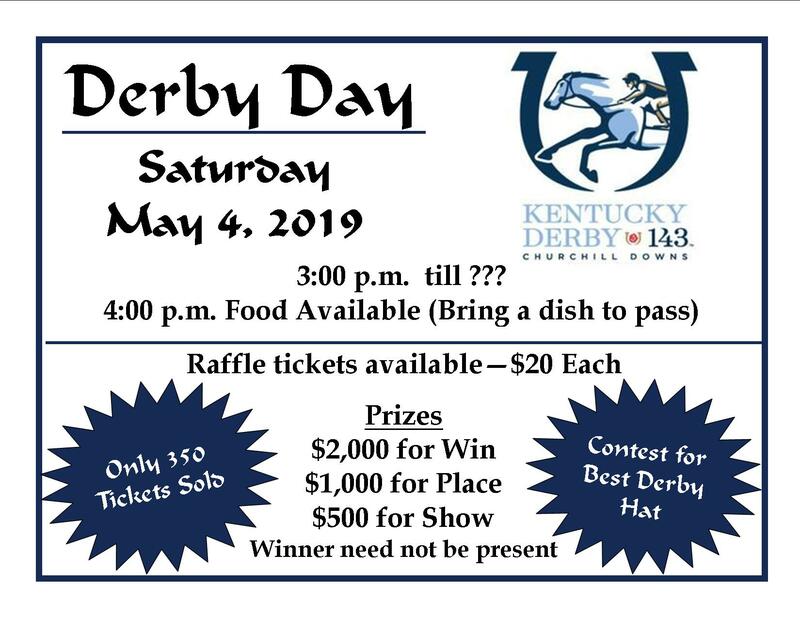 May 4th – Derby Day at the Post! The Ladies Auxiliary presents Derby Day at the American Legion. Come out to Post 1977 on Saturday May 4th at 3pm and enjoy the horse races while sipping on your favorite cocktail and enjoying a bite to eat. 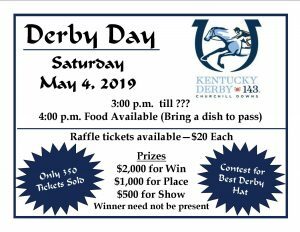 There will be raffles and games plus a Best Derby Hat Contest. 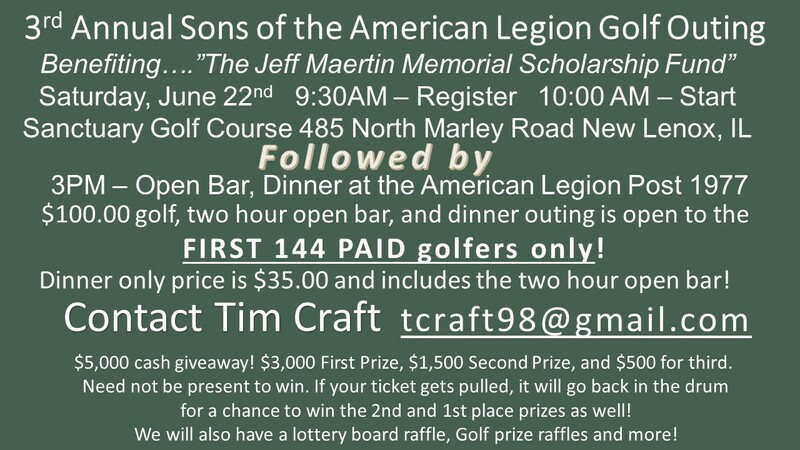 Stop by the Legion and pick up your raffle chance to win up to $3,500. Raffle tickets cost $20 and the winner need not be present. Please bring a dish to share. These tickets sell out FAST so get yours today! SAVE THE DATE! 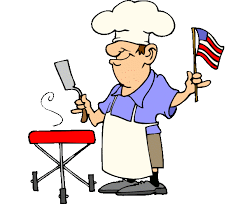 JULY 13, 2019 for our 2nd ANNUAL RIB COOK OFF COMPETITION at the Thomas E. Hartung American Legion post 1977 located at 14414 Ford Dr in New Lenox. Think you smoke the best ribs around town? Well, put your money where your mouth is and let someone else be the judge! 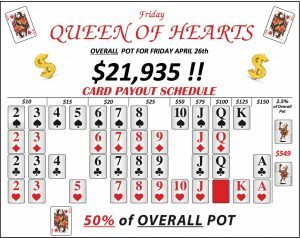 $75 cash entry fee per team which includes 3 slabs of ribs per team. 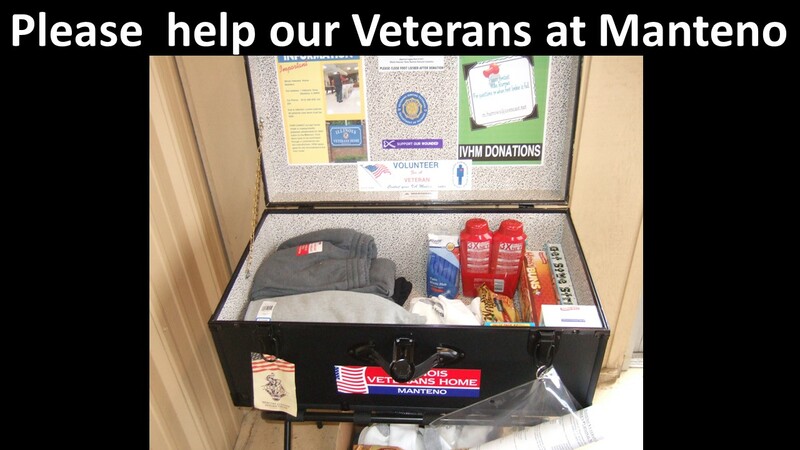 All proceeds will benefit the Manteno Veterans home. Sign up & payment deadline for the Rib Cook-off is July 1st. Contest winners will win a trophy and cash prize!!! Not into ribs? 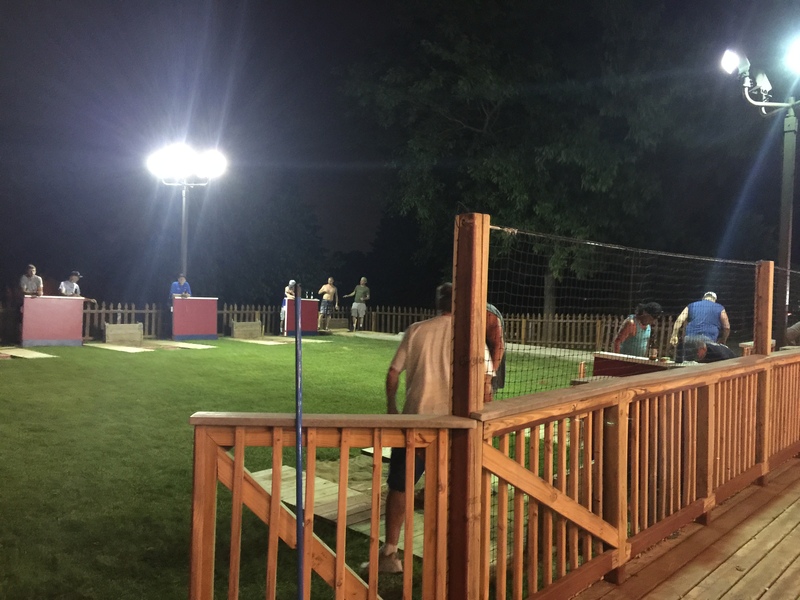 Come toss horseshoes or beanbags. Cash bar will be open (11am). Craft table from Tee Time Socials will be set up for all kids from 12pm – 3pm! Also, serving the best smoked pulled pork sandwiches for $5 until gone starting at 11am. 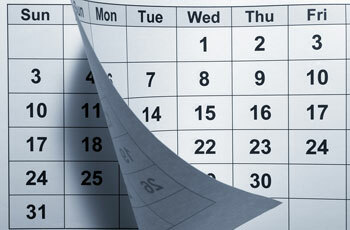 For registration, cook off rules and information please check our Calendar. 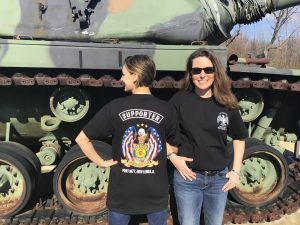 Post 1977 American Legion Riders T-SHIRTS Available in our Canteen! Want to look cool and show your support for the Post’s Riders? Get your T-Shirt today! Only $25. Stop in some time. 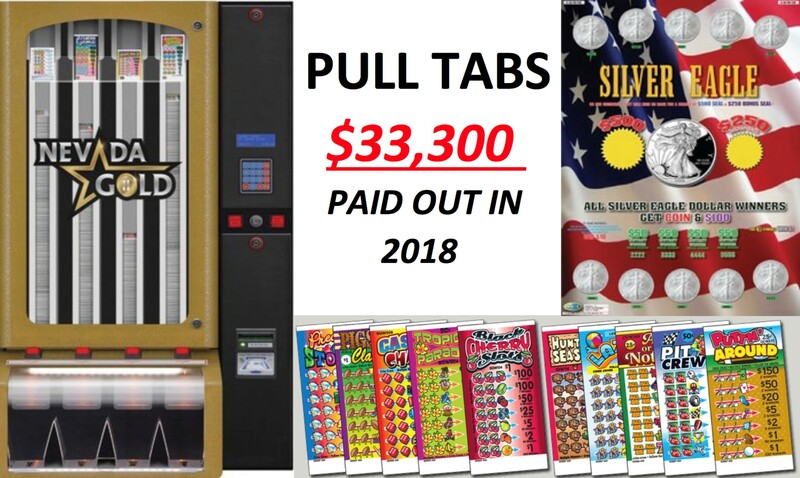 Try your luck with some Pull Tabs or Video Poker. We are “Open to the Public” seven days a week. Our kitchen is OPEN from 4 pm till 9 pm on Wednesdays, Thursdays, and Fridays! The Teardrop Cafe and the Post hope you will stop in and enjoy the absolutely best home cooking in New Lenox. ((OMG is that food good!!!)) Check out our menu! Veterans, show your dog tags and get .50¢ off any drink on Tuesdays. 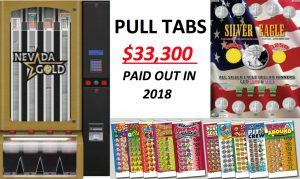 Free N’ Fun Bar Bingo on Wednesdays! FREE N’ FUN BAR BINGO in the Canteen! Wednesdays at 6:00 pm. 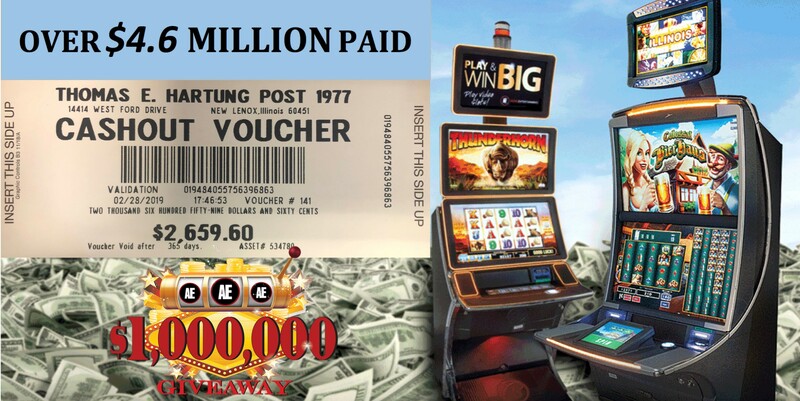 Great nightly prizes plus a chance to win the CASH JACKPOT of between $3,000 AND $10,000. 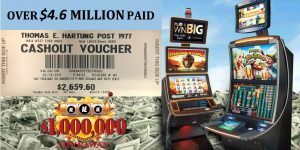 It’s free to play! Come early, have a delicious dinner, and enjoy some beverages both alcoholic and non-alcoholic available at the bar. EVERYONE gets 25¢ off on beer, .50¢ off on mixed drinks. Horse shoes competition returns in May! Are you ready??? 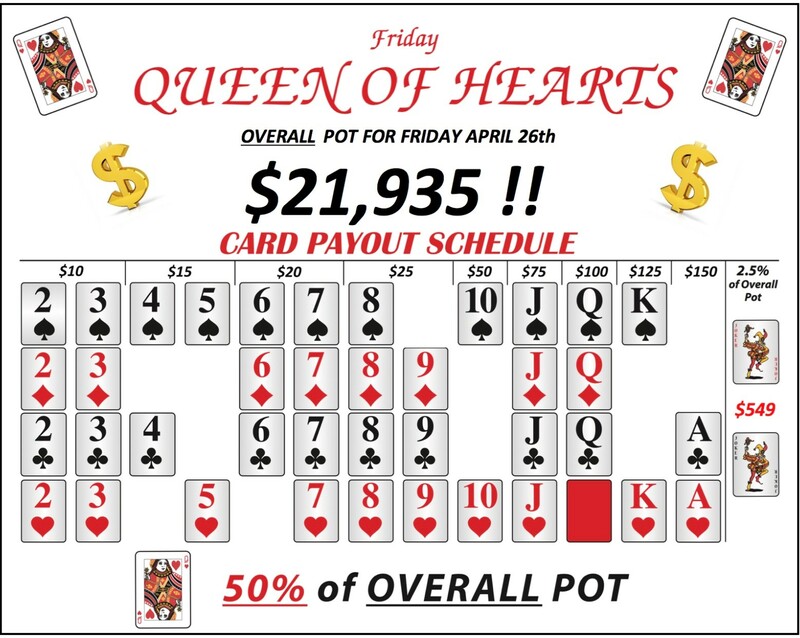 The search continues for the elusive Queen of Hearts every Friday Night at 7:00 pm. Tickets are on sale all week during business hours. Then stick around for Karaoke with Chad from 7:00 pm till midnight. Our Memorial Walk leading up to and surrounding our flags and “Snarley”, our WWII tank, is a great way to honor loved ones. They do NOT need to be Veterans. Etched Memorial Bricks can be purchased for only $50 and you have the option of choosing where it will be placed. Please visit our foyer for more information and order forms. There are already over 400 etched bricks along this walk honoring individuals from a Civil War Veteran to our current Mayor of New Lenox. Please visit our Memorial Walk, please be respectful, and as always, thank you for your support. 238,535 Views and 478 Subscribers to our Post’s YouTube channel. AWESOME! 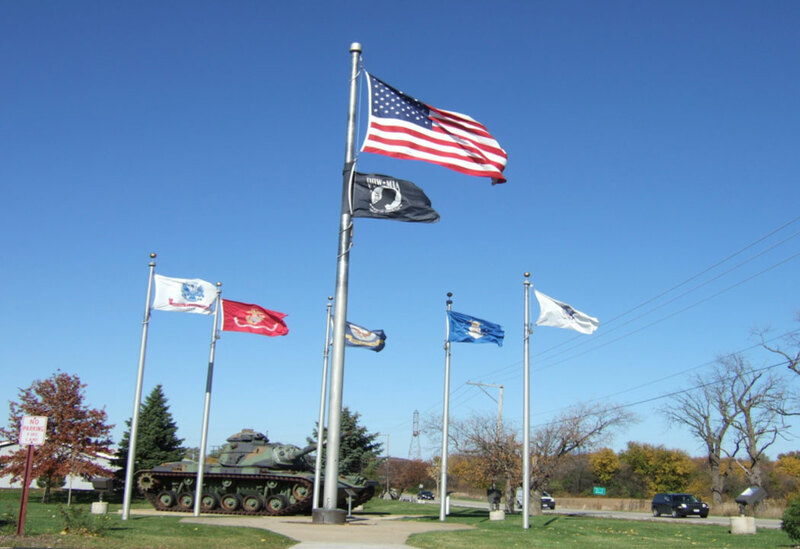 Illinois Veterans Home-Mateno is home to approximately 400 elderly Veterans. Many of these Veterans have no living relatives, so WE are their only family. 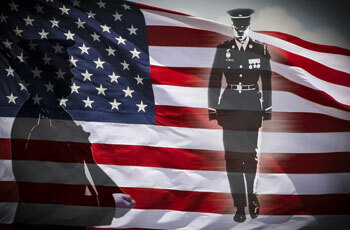 They proudly served in the United States Armed Forces. They love knowing that YOU appreciate their service. 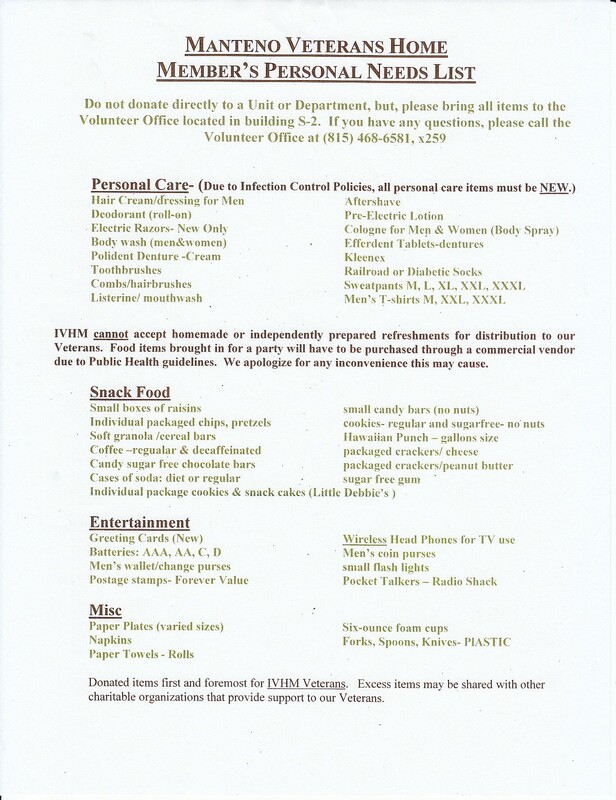 Please continue to donate new, unopened items and food products [from the list provided]. All donations can be placed in the footlocker conveniently located at the North entrance of the Canteen. Thank You!!! We have mounted Unit Patch Display cases in the main hallway. Honor those you’ve served with and display your past unit or ship patches. If you’d like to have your patch displayed please place it in an envelope and turn it in at the canteen. 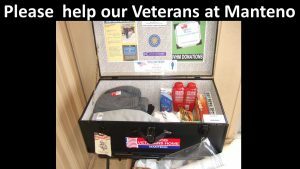 Post members who require assistance with emergency financial aid; Department of Veteran’s Affairs claim work; and Advocacy for Veterans can contact the Will County Veterans Assistance Commision at 815-740-8389 or visit their web page. 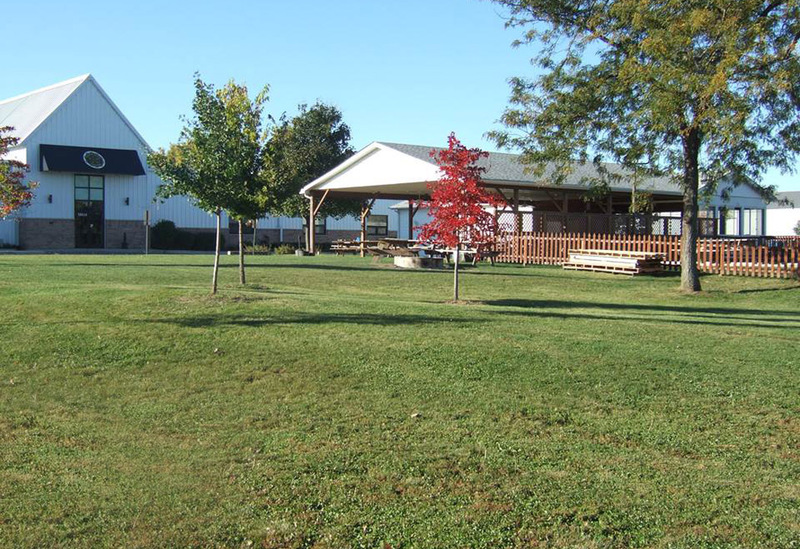 The New Lenox American Legion offers a beautiful banquet hall facility for the following communities: New Lenox, Mokena, Orland Park, Frankfort, Homer Glen, Tinley Park, Joliet, Lockport, Crest Hill, Lemont, Romeoville, Shorewood, as well as other areas. 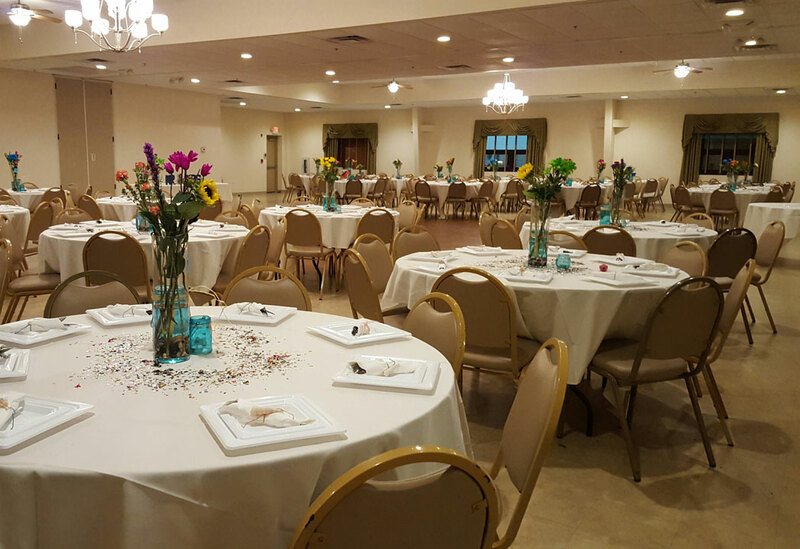 Host your Wedding Banquet, Corporate Banquet, Awards Banquet, Bridal Shower, Anniversary Party, Baby Shower, Birthday Party, Business Meeting, Holiday Party, Family Reunion, Funeral Banquet, Retirement Party, or any Special Event at the New Lenox American Legion! 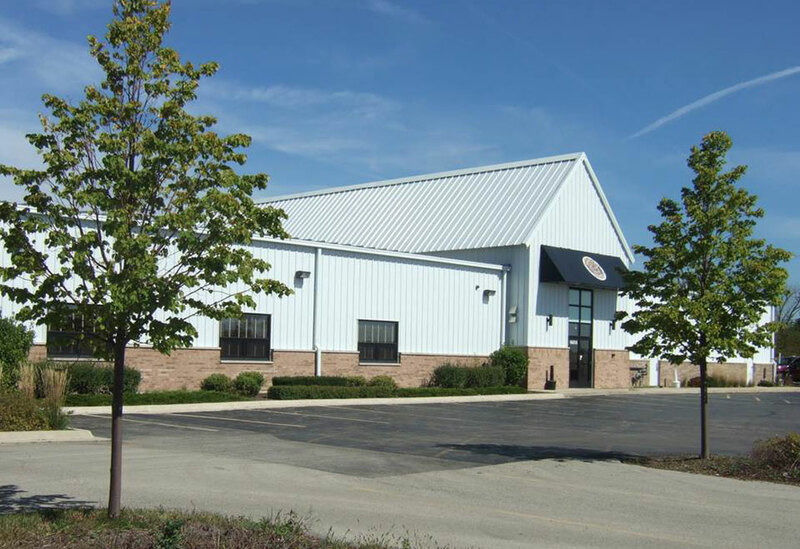 Click here to learn more about our facilities. Please bring your worn and tattered American flags to the New Lenox American Legion for proper and honorable disposal. (View “2018 Flag Retirement Ceremony” on our Post VIDEOS page.) New 3×5 American flags are available for purchase at the American Legion for $20. 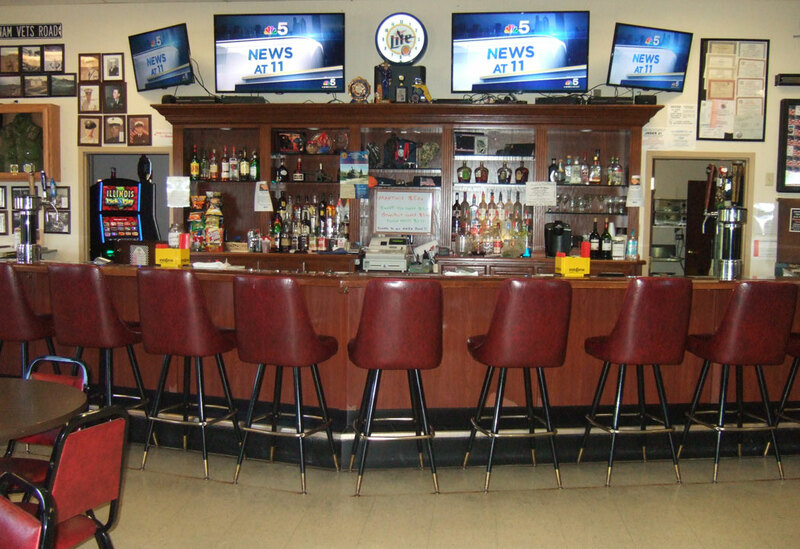 Simply stop by the Canteen and ask the bartender. Click here for more items available for purchase.